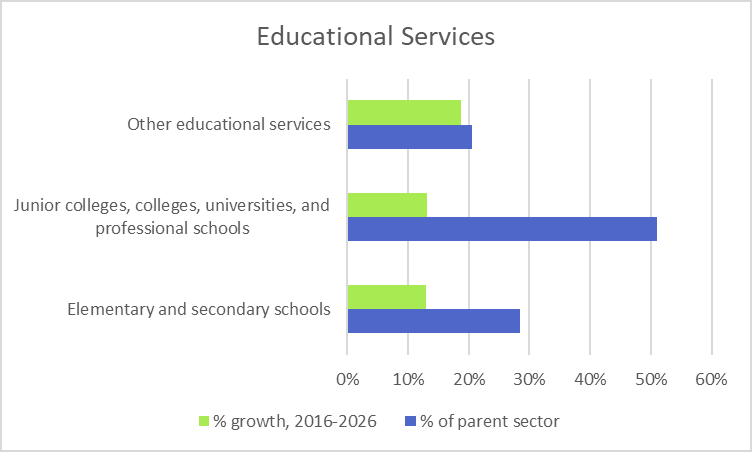 The Colleges, Universities, and Professional Schools subsector is part of the Educational Services sector. This subsector comprises establishments primarily engaged in providing academic courses and granting degrees at the bachelor or graduate levels. The requirement for admission is at least a high school diploma or equivalent general academic training for baccalaureate programs, and often a baccalaureate degree for professional or graduate programs.